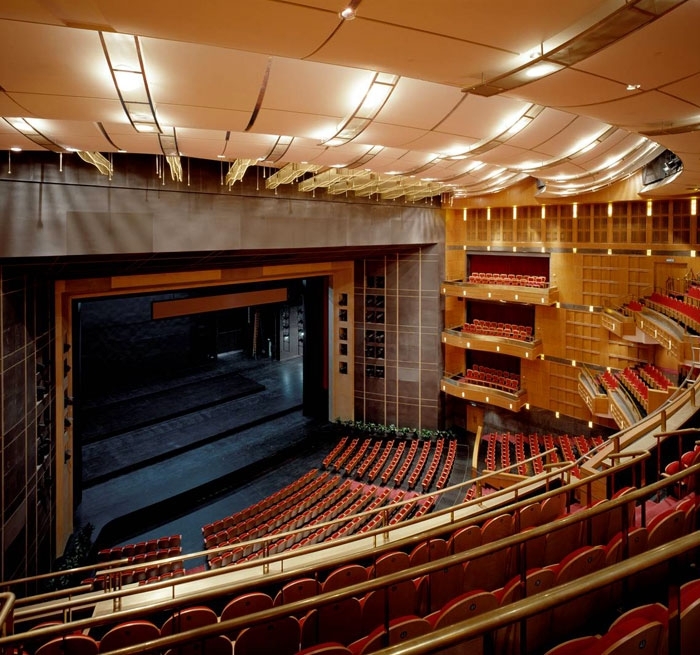 The Shanghai Grand Theatre is a dynamic cultural building combining both Eastern and Western aesthetics and influences. The cultural complex is located in the center of Shanghai across from the People’s Square and provides a high visibility icon for China’s financial capital. The design of the building is the culmination of a successful international design competition won by the celebrated architect, Jean-Marie Charpentier. The new building supports a wide range of performances that include touring opera, symphony, ballet and musicals. The focus on accommodation of Western touring performances is a major part of a cultural exchange program. 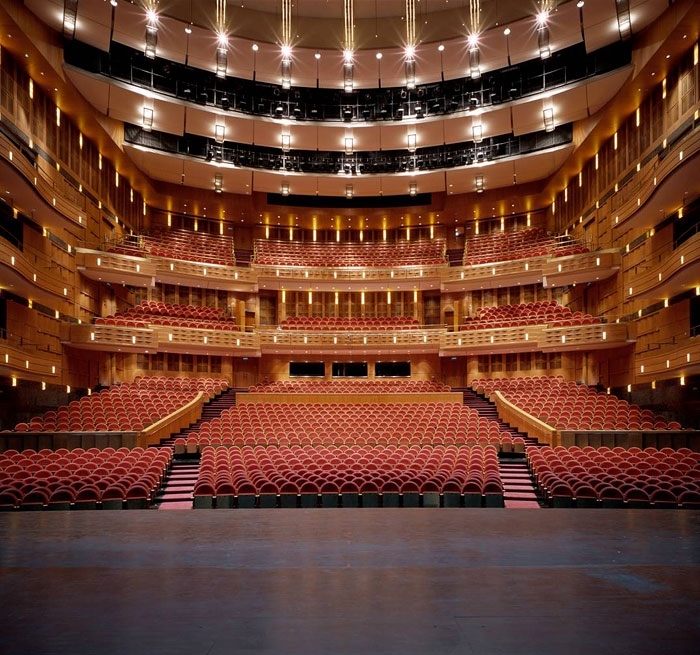 Auerbach Glasow provided the architectural lighting design for the theatre, VIP areas and public spaces. 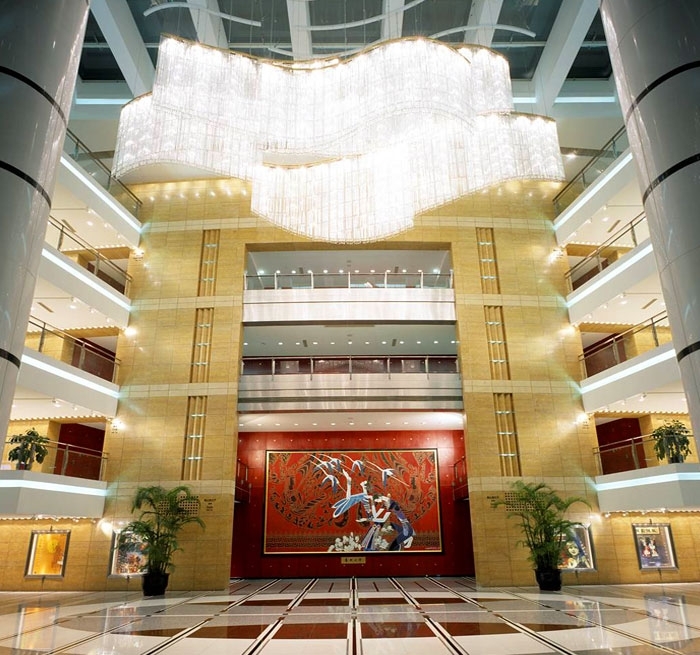 The lighting of the public areas required the development of artful custom lighting fittings including the design of the main chandelier in the lobby/atrium and the integration of lighting into the custom ceiling of the audience chamber.